Bernie Sanders demonizes the rich and argues that millionaires need to pay higher tax rates in order to finance a bigger burden of government. Which presumably means that he should surrender more of his income, since he is part of the gilded class. The New York Times has a report on the Vermont Senator’s lavish income. Senator Bernie Sanders of Vermont, a leading candidate for the Democratic presidential nomination, disclosed 10 years of tax returns on Monday… He and his wife, Jane O’Meara Sanders, reported income that topped $1 million in 2016 and 2017… Mr. Sanders’s higher income in recent years has created some political awkwardness for the senator, who in his 2016 presidential campaign frequently railed against “millionaires and billionaires” and their influence over the political process. …His income now puts him within the top 1 percent of taxpayers, according to data from the Internal Revenue Service. Yet when asked why he didn’t pay a big chunk of his income to the IRS, Sanders showed typical statist hypocrisy by giving the same reason used by every rich person (including Trump) and every big corporation. Fox News has the details. 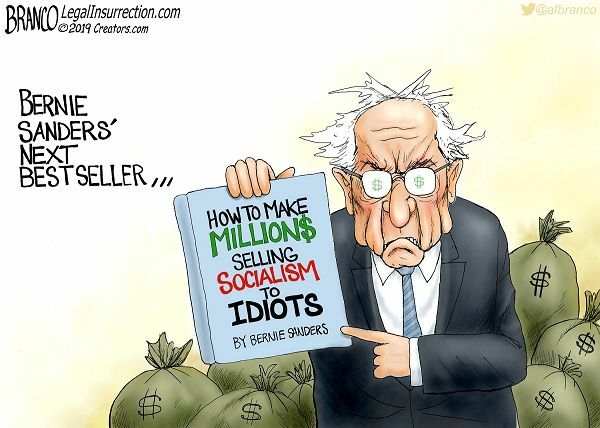 Early in the program, Sanders was asked about the 10 years worth of tax returns he had released just before the program, which showed that he had an adjusted gross income of $561,293 in 2018, on which he paid a 26 percent effective tax rate. Baier asked Sanders why he’s holding onto his wealth rather than refusing deductions or writing a check to the Treasury Department — since Sanders had said he voted against Trump’s tax bill that he himself benefitted from. “Pfft, come on. I paid the taxes that I owe,” Sanders replied. If he actually followed the law and paid his taxes, that puts him ahead of some of his fellow leftists, such as Tim Geithner and Tom Daschle. But that’s still not good enough, at least if Sanders is serious in wanting to resurrect FDR’s infamous second Bill of Rights. FDR stated the Bill of Rights wasn't enough and we needed to guarantee economic rights as well: the right to a decent job, the right to health care, housing, education, retirement security, etc. I agree with FDR. Economic rights are human rights. For what it’s worth, the notion that people have a right to free stuff is the core principle behind the so-called Green New Deal. Yet if Sanders wants to minimize his own tax bill, why should he complain when the rest of us try to protect ourselves from being victimized by his redistribution agenda? Though I will admit that Sanders is probably a sincere hypocrite. After all, would anyone other than a committed leftist support Venezuela’s leftist dictatorship? And let’s not overlook the fact that Crazy Bernie has some crazy advisers with the same crazy viewpoint, as revealed by the Wall Street Journal. Like their boss, they have a perverse admiration for the despotic hellhole of Venezuela. Socialism is cool again, and Bernie Sanders wants to reassure voters that there’s nothing to worry about. “I think what we have to do, and I will be doing it, is to do a better job maybe in explaining what we mean by socialism—democratic socialism,” Mr. Sanders said last month. …But we’ve been reading the work of Bernie’s senior political advisers… Take speechwriter David Sirota, who joined the Sanders campaign in March… Mr. Sirota wrote an op-ed for Salon in 2013 titled “Hugo Chávez’s Economic Miracle.” …Sirota wrote… “in a United States that has become more unequal than many Latin American nations, are there any constructive lessons to be learned from Chávez’s grand experiment with more aggressive redistribution?” …Mr. Sanders’ political director, Analilia Mejia, spent part of her childhood in Venezuela and told the Atlantic in 2016 that “it was better to live on poverty-level wages in a shantytown in Venezuela than on a garment-worker’s salary in Elizabeth, New Jersey.” …senior policy adviser Heather Gautney visited Caracas in 2006…wrote about how Chávez had “implemented a serious [sic] of programs to redistribute the wealth of the country and bolster social welfare.” …She also wrote that “today’s neoliberal capitalist system has become utterly incompatible with the requisites of democratic freedom.” …Mr. Sanders is…a leading candidate…and these are the people who would staff his White House. Voters need to understand that they don’t merely admire Venezuela. By their own words, they want America to emulate it. I’m almost at a loss for words. People are starving in Venezuela. Women are being forced into prostitution. Families are eating household pets. Yet Bernie’s people think we should mimic Venezuela’s horrid socialism. But since I prefer laughter, let’s close with same Bernie-themed humor, starting with this gem from the satirists at Babylon Bee. Needing to cool off from the high-stress life of a U.S. senator who has to work three days a week, Bernie Sanders was spotted Tuesday ranting at the wide selection of deodorants at a D.C.-area Target. “There are people who don’t have enough food to eat in this world, and yet there are 29 different brands of deodorant here!” Sanders bellowed, citing the two completely unrelated facts for some reason. … Several shoppers attempted to go around Sanders but he blocked the aisle, ranting to them about the 1% and the failures of capitalism before they ran away, frightened. …At publishing time, Sanders was seen in the snacks aisle ranting about how no country needs three different varieties of Flamin’ Hot Cheetos. By the way, this isn’t random humor. Sanders is such a crazy crank that he actually has condemned capitalism for providing too many underarm choices. This Branco cartoon also hits the nail on the head. P.P.S. And you can find my collection of Bernie humor by clicking here. If you live in Illinois or California and you’re sick and tired of high taxes and crummy government, should you have the freedom to move to a state with no income tax, such as Florida or Texas? The answer is yes (though Walter Williams joked that leftist politicians may start putting up barbed wire fences and watch towers to keep taxpayers imprisoned). What about if you want to move from one country to another? I’ve written many times that people should have the liberty to leave a country (including the United States) that mistreats them. But let’s look at the issue from a different perspective. What about the nations that explicitly seek to attract new residents? Especially new residents that can help boost the economy with new jobs and investment? The United States uses the EB-5 visa to attract this type of immigrant, and many other nations have similar programs. Needless to say, politicians from uncompetitive, high-tax nations don’t like this competition for entrepreneurial talent. And neither do politicians from poorly governed nations in the developing world. They know they’ll suffer a “brain drain” if their most productive citizens can freely move to nations with better governance. Needless to say, they should fix their bad policies if they’re worried about people leaving. But instead they’ve decided to attack the countries that roll out the red carpet for newcomers. 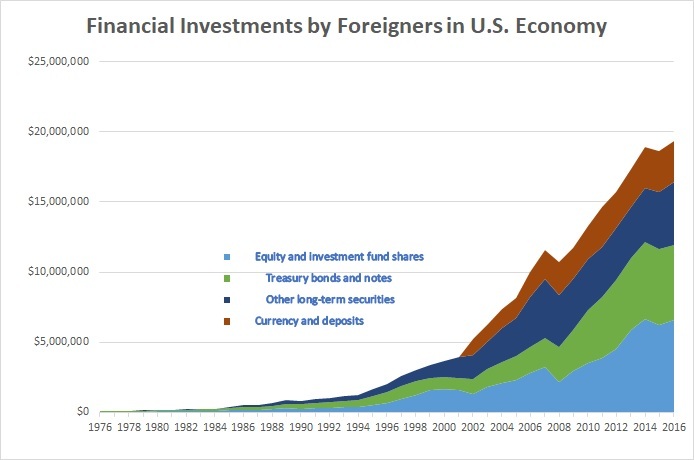 And they have convinced the statists at the Organization for Economic Cooperation and Development to create a blacklist of nations with attractive “citizenship by investment” and “residence by investment” programs. Here’s the list of countries that the OECD is condemning. You may think I’m joking, but that condition is explicitly stated on the OECD site. And the U.K.-based Guardian says something similar in its report on the OECD’s latest effort to rig global rules so governments can grab more money. A blacklist of 21 countries whose so-called “golden passport” schemes threaten international efforts to combat tax evasion has been published by…the Organisation for Economic Cooperation and Development. The Paris-based body has raised the alarm about the fast-expanding $3bn (£2.3bn) citizenship by investment industry, which has turned nationality into a marketable commodity. …foreign nationals can become citizens of countries in which they have never lived. 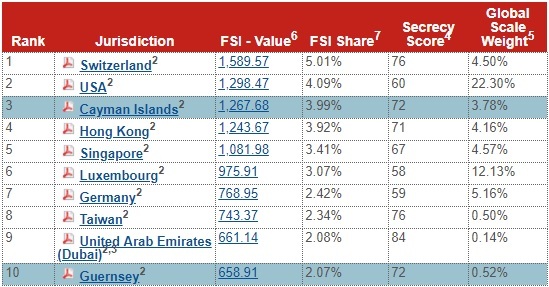 …concern is growing among political leaders, law enforcement and intelligence agencies that the schemes are open to abuse… After analysing residence and citizenship schemes operated by 100 countries, the OECD says it is naming those jurisdictions that attract investors by offering low personal tax rates on income from foreign financial assets, while also not requiring an individual to spend a significant amount of time in the country. …The OECD believes the ease with which the wealthiest individuals can obtain another nationality is undermining information sharing. If a UK national declares themselves as Cypriot, for example, information about their offshore bank accounts could be shared with Cyprus instead of Britain’s HM Revenue and Customs. This blacklist is very similar to the OECD’s attack against so-called tax havens, which started about 20 years ago. Only that time, the OECD was trying to help high-tax nations that were suffering from an exodus of capital. Now the goal is to prevent an exodus of labor. By the way, the OECD exempted its own member nations when it launched its attack against tax havens. So you won’t be surprised to learn that the OECD also didn’t blacklist any of its many member nations that have CBI and RBI programs. And it also let some other nations off the hook as well. In other words, the OECD is advancing statism and being hypocritical at the same time. For those of us who closely follow this bureaucracy, this hack behavior is very familiar. For instance, it has used dodgy, dishonest, and misleading data when pushing big-government policies regarding poverty, pay equity, inequality, and comparative economics. So this new blacklist is simply one more reason why I’m a big advocate of cutting off the flow of American tax dollars to this parasitical bureaucracy. P.S. To give you an idea why high-tax nations want to choke off migration of taxpayers, check out this poll showing that 52 percent of French citizens would be interested in moving to America. I wrote a lengthy column yesterday on the horrific situation in Venezuela. As I thought about the suffering, especially among the poor, I wondered whether Bernie Sanders and Joe Stiglitz are still willing to defend that country’s barbaric government. And I also contemplated whether there are any comments from Jeremy Corbyn, Sean Penn, Jesse Jackson, Michael Moore, and Noam Chomsky, who also carried water in the past for that despicable regime. Would these people still defend Venezuelan statism? And if they did, what could they possibly say? It’s not my job to give advice to Sanders, Stiglitz, et al, but they may want to borrow the strategy of the Socialist Party in the United Kingdom. Those folks are actually arguing that the real problem with Venezuela is that it’s not socialist enough. Let’s look at some recent tweets. To be fair, since there is still some degree of private ownership in the nation, the statism practiced in Venezuela is probably closer to fascism than pure socialism, so there was a tiny bit of merit to that tweet. The U.K.’s socialists double down on this argument by claiming that true socialism only exists when there is collective ownership of the means of production. That’s also a reasonable point. But on that basis, then it’s silly for anyone (like Bernie Sanders) to claim that places such as Denmark and Sweden are socialist. Let’s take a look at one final tweet from Socialist Party on the other side of the Atlantic. What makes this one special is that they actually claim that North Korea is an example of capitalism. This is utterly bizarre. Are they smoking crack? In North Korea, the government does own and control the means of production (factories, mines, railways, etc). If you read the fine print on the last row, you’ll see that they define socialism to exist only in a make-believe world where there’s basically no state. Anarcho-socialism, or something like that. If that’s how they want to redefine socialism, then I have no problem with it. If a bunch of people want to set up some sort of commune based on voluntary sharing of everything, that’s fine with me so long as they don’t try to force me to either pay for it or be part of it. I’ll simply close by noting that the Pilgrims used that model when they first landed in America and many of them starved to death. There’s an amusing ritual that takes place in Washington every time there’s a big debate about tax policy. A bunch of rich leftists will sign a letter or hold a press conference to announce that they should be paying higher taxes rather than lower taxes. But they apparently didn’t take my criticisms seriously and go into therapy, They’re now back and the Washington Post provides very favorable coverage to their latest exercise in masochism. More than 400 American millionaires and billionaires are sending a letter to Congress this week urging Republican lawmakers not to cut their taxes. The wealthy Americans — including doctors, lawyers, entrepreneurs and chief executives — say the GOP is making a mistake by reducing taxes on the richest families… Instead of petitioning tax cuts for the wealthy, the letter tells Congress to raises taxes on rich people like them. …The letter was put together by Responsible Wealth, a group that advocates progressive causes. Signers include Ben & Jerry’s Ice Cream founders Ben Cohen and Jerry Greenfield, fashion designer Eileen Fisher, billionaire hedge fund manager George Soros… Most of the signers of the letter come from California, New York and Massachusetts. Earlier in the month, I would have told these “limousine liberals” not to worry because I was pessimistic about the chances of a tax bill getting enacted. But then the Senate GOP unveiled a better-than-expected plan and I’m now semi-hopeful that something will make its way through the process. That doesn’t mean, however, that these rich leftists should be despondent. Because I’m a nice guy, today’s column is going to let them know that they don’t have to accept a tax cut. The Treasury Department has a website that they can use to voluntarily send extra money to Washington. 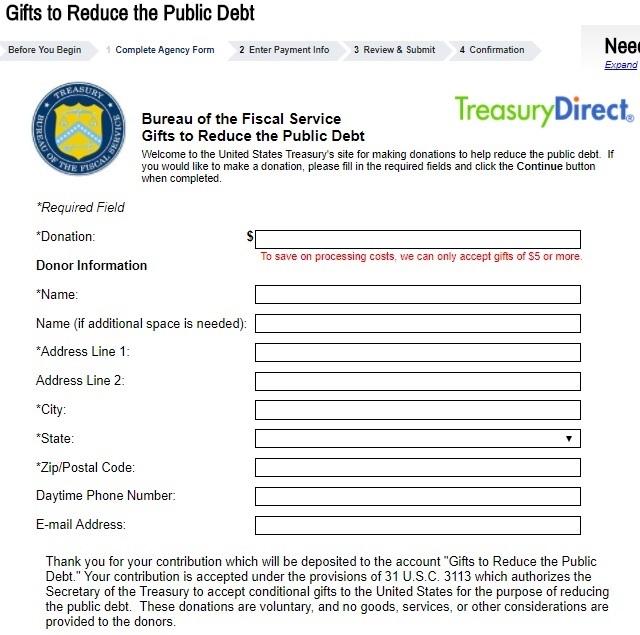 It’s called “gifts to reduce the public debt,” and people like George Soros can have their accountants and lawyers calculate the value of any tax cut and then use this form to send that amount of money to D.C.
And if these guilt-ridden rich people take my advice and send extra money to Washington, I surely won’t object if they want to give me a modest commission. But I don’t think I’ll get any money for the simple reason that these wealthy statists already have been exposed for being hypocrites. When given the option to pay extra to Washington, they run for the hills. In other words, they talk the talk, but won’t walk the walk. It’s the same at the state level. Massachusetts also gives people the option to pay more to government, yet Elizabeth Warren has never volunteered to cough up extra cash. By the way, if there was a prize for the most economically illiterate comment in the article, it would go to Bob Crandall, who apparently doesn’t realize that the money he puts in a bank is then lent to entrepreneurs and others who then invest the funds. “I have a big income. If my income gets bigger, I’m not going to invest more. I’ll just save more,” said Crandall, who is retired. Remarkable. I’m at a loss for words. And I can’t resist sharing one final blurb from the article. Former labor secretary Robert Reich…also signed the letter. Huh, how did he become eligible to sign? He certainly never contributed to growth in the private sector, and I’m not aware that he inherited a bunch of money. Well, upon closer inspection, it turns out that fretting about inequality is a good way of becoming part of the top-1 percent. P.S. Germany also has guilt-ridden leftists who push for higher taxes. P.P.S. It’s not just that rich leftists don’t pay extra tax. They also go out of their way to figure out how to pay lower taxes. Just look at the Clintons. And Warren Buffett. And John Kerry. Or any of the other rich leftists who want higher taxes for you and me while engaging in very aggressive tax avoidance. Yet that’s what Ruth Marcus of the Washington Post would like readers to believe. Here’s some of what she wrote today. I’ve shared several quizzes that people can take to see whether they are libertarian, some of which are very simple and some of which are very nuanced and complex. The Definitive Political Orientation test. I’ve also shared many examples of statist hypocrisy. Leonardo DiCaprio’s giant carbon footprint. John Kerry’s money in tax havens. Rich leftists with kids in private school while fighting school choice for poor kids. Celebratory leftists dodging their tax obligations. So I guess I shouldn’t be surprised to see that someone on the left wants to play this game by combing the concept of quizzes and hypocrisy. I don’t know R.J. Eskow, but he has a quiz on a left-wing website that’s designed to ostensibly measure libertarian hypocrisy. Though it’s hard to treat the exercise seriously since it is prefaced by some rather silly rhetoric. Libertarian…political philosophy all but died out in the mid- to late-20th century, but was revived by billionaires and corporations that found them politically useful. …They call themselves “realists” but rely on fanciful theories… They claim that selfishness makes things better for everybody, when history shows exactly the opposite is true. …libertarianism, the political philosophy whose avatar is the late writer Ayn Rand. It was once thought that this extreme brand of libertarianism, one that celebrates greed and even brutality, had died in the early 1980s… There was a good reason for that. Randian libertarianism is an illogical, impractical, inhumane, unpopular set of Utopian ravings. …It’s only a dream. At no time or place in human history has there been a working libertarian society which provided its people with the kinds of outcomes libertarians claim it will provide. I’m not an ideological enforcer of libertarianism, but I can say with great confidence that Randians are only a minor strain of the libertarian movement. Many of us (including me) enjoyed one or more of her books, and some of us even became libertarians as a result of reading tomes such as Atlas Shrugged, but that’s the extent of her influence. I also find it odd that Eskow didn’t do his homework when conspiracy-mongering about the Kochs or mentioning Cato. We get almost no funds from corporations. Indeed, I’m willing to bet that major left-wing think tanks get a much higher share of their budget from businesses. …political libertarianism suddenly had pretensions of legitimacy. This revival is Koch-fueled, not coke-fueled… Exxon Mobil and other corporate and billionaire interests are behind the Cato Institute, the other public face of libertarianism. Though Eskow gives us a bit of credit. …the unconventionality of their thought has led libertarians to be among this nation’s most forthright and outspoken advocates for civil liberties and against military interventions. Gee, thanks. What a magnanimous concession! But I’ve spent enough time on preliminaries. Let’s get to the test. Though I have to warn you that it’s just a rhetorical test. You can’t click on answers. There’s not even an answer key where you can calculate any results. For all intents and purposes, the test is just a series of “gotcha” questions. Eskow probably hopes that libertarians will get flustered when confronted by this collection of queries. But I’m always up for a challenge. So I decided to give my two cents in response to each question. Are unions, political parties, elections, and social movements like Occupy examples of “spontaneous order”—and if not, why not? The term “spontaneous order” refers to the natural tendency of markets to produce efficient and peaceful outcomes without any sort of centralized design or command. I’m not sure how this is connected to government and politics, however. Perhaps Eskow is asking whether political pressure groups can arise without centralized design and command. If so, then I’ll say yes. But if the question is designed to imply that market forces are akin to government actions and/or political activity, I’ll say no. Is a libertarian willing to admit that production is the result of many forces, each of which should be recognized and rewarded? Admit it? That’s an inherent part of our approach to economics. The famous “I, Pencil” essay celebrates this principle, and this video is a modern version that captures many of the same concepts. For what it’s worth, I’m guessing Eskow thinks that the market allocation of recognition and reward is somehow deficient, so he’s making some sort of weird argument that intervention is needed. Is our libertarian willing to acknowledge that workers who bargain for their services, individually and collectively, are also employing market forces? Yes, we think workers should be able to use any non-coercive tactic to get the maximum pay, including joining unions. And we also recognize the right of employers to use non-coercive tactics to keep costs down. But note that I include “non-coercive” in my analysis. That’s because no employee should be forced to remain at a company that doesn’t pay enough, and no employer should be forced to hire any particular worker or deal with any particular union. Market forces should determine those choices. Is our libertarian willing to admit that a “free market” needs regulation? Admit it? We view the private economy in part as a giant network of mutually reinforcing regulation. But Eskow probably doesn’t understand how private regulation operates. And besides, I’m sure his question is about command-and-control government regulation. And if that’s the focus of the question, am I a hypocrite for saying yes in some circumstances, but accompanied by rigorous cost-benefit analysis? Does our libertarian believe in democracy? Most libertarians will avoid the hypocrite label on this question because we are not fans of “democracy.” At least, we don’t believe in democracy if that means untrammeled majoritarianism. Indeed, the U.S. Constitution was created in part to protect some minority rights from “tyranny of the majority.” The bottom line is that we believe in a democratic form of government, but one where the powers of government are tightly constrained. Does our libertarian use wealth that wouldn’t exist without government in order to preach against the role of government? This question is based on the novel left-wing theory that wealth belongs to government because the economy would collapse without “public goods.” This might be an effective argument against an anarcho-capitalist, but I don’t think it has any salience when dealing with ordinary libertarians who simply want the federal government to stay within the boundaries envisioned by the Founding Fathers. Small-government libertarians are willing to give government 5-10 percent on their income to finance these legitimate activities. But, yes, we will preach when the burden of government expands beyond that point. Does our libertarian reject any and all government protection for his intellectual property? I’ll admit this is a tough question. I’ve never written on this issue, but libertarians are split on whether governments should grant and enforce patents and copyrights. Though I suspect both camps are probably intellectually consistent, so I doubt hypocrisy is an issue. Does our libertarian recognize that democracy is a form of marketplace? The “public choice” school of economics was created to apply economic analysis to political action, and most libertarians would agree with that approach. So the obvious answer is that, yes, we recognize that democracy is a type of marketplace. Once again, though, I think Eskow has an ulterior agenda. He probably wants to imply that if we accept market outcomes as desirable, then we must also accept political decisions as desirable. Yet he should know, based on one of the questions above, that we’re not huge fans of majoritarianism. The key distinction, from our perspective, is that market choices don’t involve coercion. Since libertarians are first in line to object when big companies lobby for bailouts, subsidies, and protectionism, the answer is obviously yes. Libertarians opposed Dodd-Frank, unlike the big companies on Wall Street. Libertarians opposed Obamacare, unlike the big insurance companies and big pharmaceutical companies. Libertarians oppose the Export-Import Bank, unlike the cronyists at the Chamber of Commerce. We are very cognizant of the fact that businesses are sometimes the biggest enemies of the free market. Does he think…that historical figures like King and Gandhi were “parasites”? Since we don’t have any pure laissez-faire societies, we libertarians have to admit that we still have a long way to go. But our views aren’t right or wrong based on whether they are accepted by a majority. Heck, I would argue for libertarianism in France, where I’d have several thousand opponents for every possible ally. I’ll close today’s column by briefly expanding on this final question, especially since Eskow also made similar claims in some of the text I excerpted above. If you look around the world, you won’t find a Libertopia or Galt’s Gulch (egads, a Rand reference!). 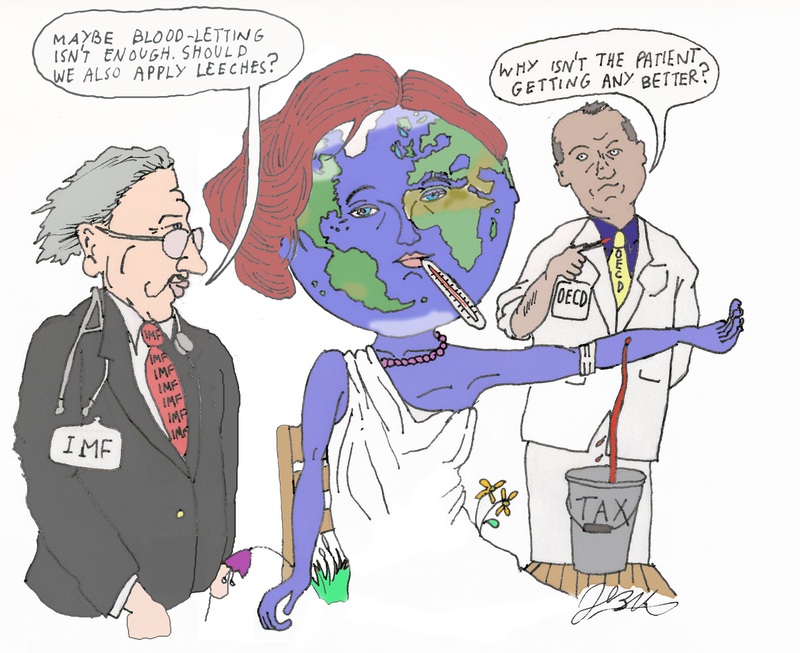 That being said, there is a cornucopia of evidence that nations with comparatively small and non-intrusive governments are much more prosperous than countries with lots of taxes, spending, and intervention. Yes, voters do have an unfortunate tendency to elect more bad politicians (in place likes France and Greece) than sensible politicians (in places such as Switzerland and New Zealand), but that’s not the real test. What ultimately matters is that there’s a very strong relationship between liberty and prosperity. Libertarians pass that test with flying colors.